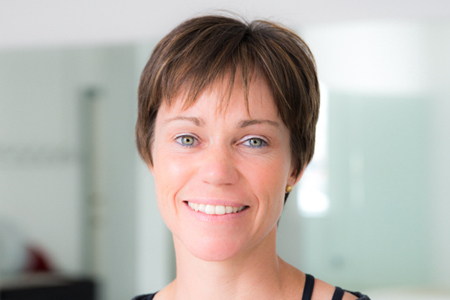 Winchester Pilates, founded by Louisa Bond in April 2006, is a dedicated and fully equipped Pilates Studio offering tuition from specialist self-employed Body Control Pilates Teachers. BCP is not only one of the country’s leading training providers but also one of the first to have its course approved against the UK national standard for Pilates. All BCP qualified teachers are listed under the UK Register of Exercise Professionals as Level 3 Advanced Pilates Instructors. For more information visit www.bodycontrol.co.uk. Body Control Pilates ® is a registered trademark used under license. 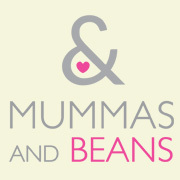 Our team has a wealth of experience that has developed over the years: by working alongside each other, drawing on each individual teacher’s qualifications, experiences and personalities; by working in conjunction with medical professionals to establish an understanding of sound movement patterns and an ability to maintain the body with good habit; and by no means least with thanks to our lovely clients who come to us from all walks of life with their own individual needs and goals, keeping us eager to expand our knowledge and striving to achieve the best for them and ourselves. Having worked within an administrative capacity predominantly within the Graphic Design Industry for many years, I discovered movement through necessity, too many hours sitting at desks and commuting. I trained in 1996 as a Gym Instructor and worked within Holmes Place where my interest in teaching clients good alignment, posture and correct movement patterns led me to discover Pilates and the Body Control Pilates® method. 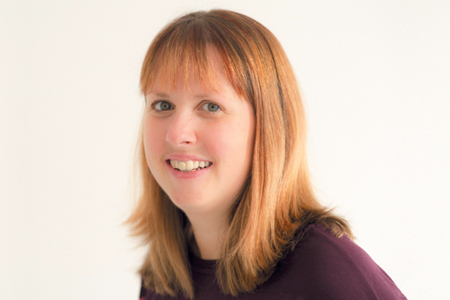 I first qualified as a Body Control Pilates® Teacher in 2000 and worked full time in Pilates studios in both Devon and Hampshire since qualifying, working alongside Sports Therapists and Physiotherapists. I have practiced Pilates myself since 1998. In April 2006 I opened Winchester Pilates Studio and continue to teach all levels of Pilates mat work from beginner to advanced, as well as teaching on the Pilates equipment, tailoring exercises to clients’needs. Our sedentary lifestyle stifles our movement so much and I love to watch people’s body’s unravel throughout their sessions, and their minds and body’s connect in movement. During my 16 years as a member of the Body Control Pilates Association I was a Supervising Teacher for their training academy, responsible for the training of new Teachers, and was registered under the UK standard as Level 3 Advanced Pilates Teacher on the Register of Exercise Professionals. 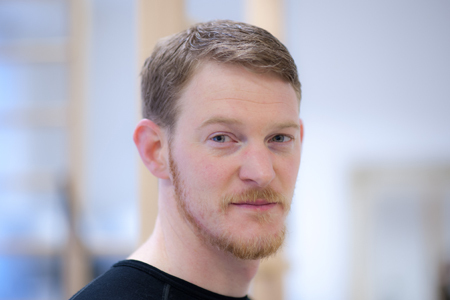 I also studied with the London School of Sports Massage and hold a Diploma in Sports and Remedial massage therapy although teaching Pilates and running the Studio bookings now takes over all of my time. We all continue to learn and as part of our commitment we train regularly, consolidating our knowledge, evolving our thoughts and continuing to learn new skills. I am privileged to have attended courses written and presented by those that have studied their subject, researched for years and are thrilled to share in their knowledge. This year I am continuing to study fascia, web of connective tissue that runs throughout our body, and how we can rebalance our structure through corrective movements. The continued quest to demystify the body in order to help people to best help themselves has led to further studies in the new science of the connective tissue matrix that runs throughout out bodies. Training with Sue Hitzmann in the Melt Method has enabled us to better understand how pain becomes chronic, and how to rehydrate the whole system with a simple to follow, hands-off technique that we can teach you to do for yourselves and that will enhance the day to day you, and your Pilates! I have been working at the studio since 2006 and teach both matwork classes and in the studio, and have undertaken training to an advanced level. My classes range from restorative classes for those with injuries or health problems, a specific bone-health class for those with osteoporosis, to advanced classical mat work. 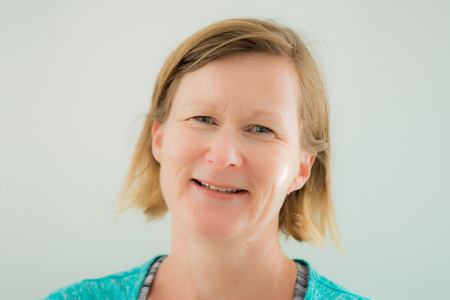 In addition to my Pilates knowledge and training, I have a clinical background, holding a Masters degree in Osteopathy and I am currently studying for a PhD with the University of Southampton researching aspects of how Pilates may benefit chronic low back pain. My studies mean that at the moment my time teaching in the studio is limited. My movement ethos is one of optimal movement – simply put – learning to move our bodies to achieve the goals we want to achieve. Firstly through an awareness of how we move, and then by integrating those isolated movements into more dynamic movement. For clients with back pain, their goal might be to get back to doing daily activities they used to enjoy. For my advanced clients, that goal might be to achieve the full Classical Mat repertoire. Putting those beliefs in to practice, I enjoy the challenge of acro-balance, and the more meditative nature of walking my dogs in the New Forest. I believe that whatever our movement goal, Pilates sits at the forefront of an optimal movement ethos, helping us understand how we move and how to control that movement. However, the joy of movement, for me, comes in having the freedom to simply move, and my teaching reflects this is in the use of functional or fun movement challenges that sit outside the classical Pilates repertoire. Teaching and education are my passion, so I’m also a supervising teacher for Body Control Pilates, helping student teachers through their training. My love of teaching has led me to have completed a professional teaching qualification too, and I am a lecturer and dissertation supervisor to undergraduate osteopathic students at the London School of Osteopathy. I studied Goju Ryu, a traditional form of Karate for five years gaining my Black Belt. Goju Ryu focuses an emphasis on strength, conditioning and fluid movements in disciplined Kata (choreographed fighting sequences). I also practiced and enjoyed Kobudo an ancient weapon system from Okinawa and have a keen interest in all forms of Martial Arts. At the Studio I am lucky enough to be able to attend Shotokan Karate on a weekly basis. I spend as much of my spare time as possible rock climbing indoors as well as outdoors, weather permitting and whenever time allows enjoy scrambling and fell walking too both in Wales, Cumbria and Scotland. I first practised Pilates here at the Winchester Pilates Studio, and have found that Pilates has helped to rebalance my body, building good postural awareness and strength to my centre, to allow me to continue to enjoy doing the things I love most. I have trained with Body Control Pilates in both mat and machine work and teach both mat class and Studio machine work sessions. Over the past two years I have trained with a Balanced Body Master Teacher on the Core Align from beginner to advanced level and I enjoy working with clients in the more functional upright environment that the Core Align offers, promoting awareness, flexibility and strength. I have been privileged to train with Michael Watson and James Earle’s in the Anatomy Trains and the study of myofascial release, Gil Hedley and the exploration of fascia through dissection, and have recently embarked upon a hands off treatment that I can teach my clients with Sue Hitzmann who developed the Melt Method. I have been teaching Pilates since 2010, but have been practising Pilates since 2003. I first encountered Pilates through ballet and found it incredibly helpful for body awareness, injury prevention and focus. I developed an interest in how the method could help to rehabilitate from injuries and also aid in preventing back/body issues in everyone’s lives, so trained with Body Control Pilates, gaining many of my teaching hours here at Winchester Pilates. I teach mat work classes from beginners upwards as well as private sessions, incorporating small equipment to enhance the lessons and create better body awareness whilst also improving overall movement patterns. I am interested in teaching functional movement that people can use in their everyday lives and believe in making each session belong to the client, looking at each person as an individual. I continue to attend regular courses in London in areas that interest me in order to further my knowledge, enabling me to pass this on through my teaching and am looking forward to working within the Studio and machine work environment building on my most recent Reformer course. I enjoy rock climbing and surfing in my free time and I put my Pilates knowledge into use for both. 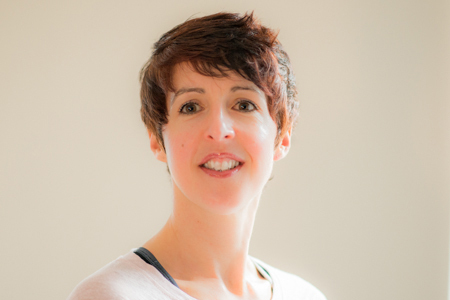 Having spent 20 years as an equine specialist coach and trainer, and 10 years practicing Pilates, in 2015 I trained with Body Control Pilates to become a qualified Pilates Teacher. I have always been interested in health and fitness, and after years of high intensity training turned to Pilates as the best way to maintain my own levels of performance. Pilates became the centerpiece of my training, helping me achieve far greater awareness of my own body, maintaining a toned body, improving my focus, avoiding injury and improving my overall performance. As well as my love for Pilates, I have successfully ridden horses professionally, competing up to international level. I have gained most pleasure from teaching all age groups on ponies and horses, concentrating on the link between horse and rider. I am in the process of training to become an Equipilates Affiliated Instructor, and a Equipilates Biomechanics Trainer, to help further improve the performance of both horses and riders, overcoming common biomechanical restrictions. Pilates has given me the pleasure to help not just high-level athletes, but also those seeking to enhance their quality of life and sense of wellbeing, offering a range of exercises tailored to their individual needs. 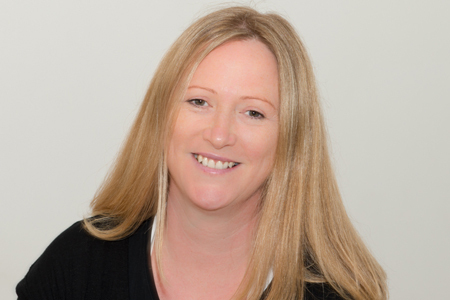 I spent a decade living in different countries and environments, doing international marketing and later studying and gaining a BSc in Physiotherapy, and went on to have my two children. I moved back to the UK with my family and decided on changing from rehabilitation towards prevention of injury, and what better way of doing so than with Pilates? I had already tried Pilates in the early 1990’s at Pineapple Studios in London, and loved it. I qualified as a Matwork Teacher at Body Control Pilates in June 2009. Since then, I have had the pleasure of working as a Pilates teacher in teams of clinical staff as well as with yoga teachers, and enjoyed teaching Pilates to a wide range of different people. 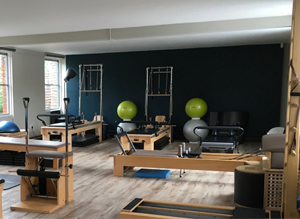 I am very much looking forward to now gaining more studio teaching experience at Winchester Pilates, and to working with the loyal clients here. In addition to the studio work, I am also learning more about how Pilates benefits scoliosis, as well as about hypermobility. What I particularly like about Pilates is the functionality of applying Pilates principles to everyday activities and life – whether it is focusing on a long, efficient stride when out for a dog walk or producing more glide with each stroke when going for a swim. I have just recently taken up golf, and will apply Pilates to help improve my golf game too! I discovered Pilates in 1997, when a class began in the local village hall that my Mum wanted to go to. Those classes weren’t anything like the Pilates I know and love today, but started me on my Pilates journey. I began classes with a Body Control Pilates teacher in 2003, and haven’t looked back since. Having experienced lower back pain in my past life as a Librarian, I soon realised the importance of spinal mobilisation. More recently, my rehabilitation from hip surgery, and my continuing battle with arthritic hips, has reinforced the healing and strengthening powers of Pilates to me. I decided to train as a Pilates teacher so that I could share the benefits, and my love, of Pilates with others. I began my teacher training at the prestigious Body Control Pilates Centre in London in 2010, and now hold the Level 3 Pilates Teacher status with the Register of Exercise Professionals. I regularly attend continued professional development courses, and utilise the full range of small equipment within my matwork classes and private sessions. I also hold a Level 3 award in Designing Pilates Programmes for Bone Health, and the BCP “Teaching on the Reformer” qualification. I have loved learning more about teaching on the bigger studio equipment and I am also currently studying for the Level 4 Low Back Pain Specialist Qualification and a new Level 4 Certificate in Instructing Applied Pilates Mat Work, which includes focus on special populations such as Pre and Post-natal groups, older people and children. Away from Pilates, I enjoy reading, visiting zoos (the Flamingo’s are my favourite), and playing my flute with a concert band and Flautissimo, the Southampton Flute Orchestra. I live in Chandlers Ford with my partner, and our 2 cats. I was a commercial property surveyor for 20yrs and a combination of long hours driving and sitting at as desk led to back issues. My chiropractor suggested Pilates, so I attended one to one sessions on the reformer and quickly saw the benefits that Pilates offers. Having spent 8 years of my childhood as a ballet dancer I have good body awareness and once my core strength had developed, I was keen to progress and learn more. In April 2016 I was made redundant which offered the perfect opportunity for a career change. I decided to qualify as a Pilates teacher at the London studio of Body Control Pilates (BCP). Part of my training involved practical teaching at Winchester Pilates. I¹m pleased to say the team spotted I had a passion for teaching and a nice manner. It is from this humble beginning that I now find myself as a Winchester Pilates teacher. In addition to my BCP qualification I am fully trained to teach on the Core Align equipment. It is my objective to make any new client feel welcome, to see them achieve their objectives, to challenge their ability and most importantly to have fun. Away from Pilates my passion is enjoying good food and wine to counter balance this I participate in Triathlons, open water swimming, long distance cycling and skiing. I first became interested in movement when I was training for my first degree black belt in Kickboxing. This new interest inspired me to change my career from an office based job to becoming a BTEC Level 5 Clinical Sport and Remedial Massage Therapist, in 2015 I qualified from The London School of Sport Massage. My new career allowed me to gain a greater understanding of how the body moves and the compensations it makes when it’s not moving to its full potential. In 2016 I worked full time at Southampton FC as a soft tissue therapist to the First Team. Working within the Premier League gave me a unique insight to elite sport and elite athletes, learning first-hand how to deal with different injuries and adapt treatments to suit. During my time at Southampton FC I was introduced to the world of Pilates by Suzanne Scott. Pilates was used for rehabilitation of the players alongside general maintenance and functional movement to ensure they were in the best condition possible. After working closely with Suzanne I was inspired to leave the world of Premier League football and further develop my knowledge and career within movement. 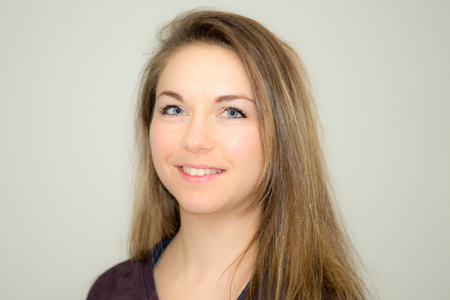 After a year of training and assessment, I was successful in becoming a YMCA Level 3 Mat Pilates Instructor, I trained at Pilates in Motion under Anoushka Boon. Alongside this I am also a qualified CoreAlign instructor. My passion in life is to get people moving again, whether this is though massage or Pilates, I hope to offer a hands on solution to rehabilitation, injury prevention and functional movement. I hold a First degree black belt in Kickboxing and I love strength and conditioning training, I’ve climbed Mount Kilimanjaro, completed the 24hr three peak challenge and rode the London to Brighton bike ride, as well as numerous other running events. I’m always on the lookout for the next challenge to test the ability of my mind and body. Helps to to release the body’s Myofascial tissue using vacuum cupping. With benefits such as: reducing muscle tightness and adhesions more commonly known as ‘knots’, increase blood flow to help aid repair of damaged tissue and it can help to increase range of movement in joints. It acts by stimulating the nervous system and is used to treat musculoskeletal pain and myofascial trigger points. Medical acupuncture is a western adaptation of Chinese acupuncture using current knowledge of anatomy, physiology and pathology. Helps with: Chronic pain such as neck and back pain, headaches, muscle and joint pain. By gently lifting the skin Kinesio tape helps to increases space and allow a decrease in inflammation, reducing pressure while enabling a more effective flow of blood and lymphatic fluid in and out of the taped area. Kinesio Tape can be applied in many ways and has the ability to re-educate the neuromuscular system, reduce inflammation, prevent injury and promote good circulation and healing. It helps relieve muscle tension, soreness and fatigue felt in the muscle, it can also be used to reduce cramping and aid joint correction. Fascia tooling is an instrument-assisted, soft tissue mobilization therapy. It is beneficial in breaking up fascial restrictions and scar tissue adhesions. Fascia tooling has been known to help conditions such as a cervical strain, tennis elbow and golfer’s elbow, lumbar strain, rotator cuff tendinosis, and achilles tendinosis. I was introduced to Pilates at the age of 13 while undergoing my ballet training at London Junior Ballet, and understood that Pilates was beneficial to peoples’ physical needs. I recommended it to my Mum who then went on to become a qualified Body Control Pilates Teacher. After many years of intense ballet training my dancing journey changed route and, when I was 18, I decided to continue my training in Contemporary dance. I trained at the Laban Conservatoire in London where I gained a BA (Hon) in Dance Theatre. A couple of years after graduating I moved to NYC to further my training at the Martha Graham Dance School where I completed the Teachers’ Training Program in Graham Technique. Here, in NYC as well as in England, I also danced professionally as a freelancer for various different companies and independent choreographers. On returning home from NYC in 2015 I trained and subsequently qualified with Body Control Pilates. I found that this specific method of movement was the perfect remedy for various injuries that I had acquired through my dance training! I began teaching my own classes shortly after but then had a brief break from teaching whilst completing an MA in Dance Performance. During my Masters I combined my knowledge and interests in teaching both Graham technique and Pilates to research the connections between these two movement techniques. Although I have now completed my studies, my research continues through my interests on both a personal level and during teaching. When I’m not teaching Pilates or dance, I instruct Indoor Cycling classes and enjoy aerial hoop in my free time. My Tai Chi Journey started over 10 years ago. 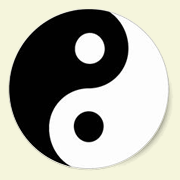 I studied Qigong with Sue Woodd and Beko Kaygee, and Wudang Tai Chi Chun with Sifu Dan Docherty in London. I hold an advanced diploma in Tai Chi and Qigong. Now based in Winchester, I want to continue helping people improve their mobility and general health with this excellent form of exercise prescription. I retired from working as a consultant mathematician in investment banking in 2005 and decided I needed to do something that would hopefully enrich my life and overall health in a positive way and had heard about Tai Chi, so I decided to give it a try. It is suffice to say that I wasn’t expecting too much, if anything I was curious and in some ways even sceptical, especially after reading articles from proponents promoting both the physical and mental health benefits of this ancient Chinese internal martial art. Tai Chi has had a profoundly positive effect on my life in so many ways, and being able to share my Tai Chi experience and knowledge through my teaching is something I am passionate about and the fact that I am able to teach all learners regardless of age and disability is something I hold very dear.